School may have started, but the produce at Hinton’s Orchard is still operating on a summer schedule! 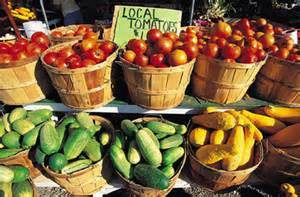 The market is loaded with juicy peaches, tasty tomatoes, fresh sweet corn, sweet watermelons, and all of the other produce you want. A few varieties of summer apples are also beginning to ripen to add another fruit option to your menu. Whether you want a few to eat fresh or need to freeze or can for the winter, Hinton’s can help with tomatoes, corn, green beans, cucumbers, cabbage or peppers. Market hours are Monday – Saturday 9 am – 6 pm and Sunday 1 – 6 pm. If you need it, Hinton’s Has It! « It’s Peach Season at Hinton’s!